Developer(s): Blade Interactive Software, Ltd. Longtime readers of our humble site may remember our Super Sports Extravaganza, which met with a surprising amount of reader feedback. Well, we’ve decided to take another whack at a big ol’ block of sports titles, but this time, we’re taking a look at sports across the pond, with our British Sport Spectacular, which you know is British because “sport” doesn’t have an “s” at the end of it, and we open it up with 2000’s World Championship Snooker for PlayStation. Masterclass even features a section on trick shots. Snooker, for those that are unfamiliar, is basically to pool what cricket is to baseball, a longer, more methodical and strategic version of the game, with somewhat different rules. 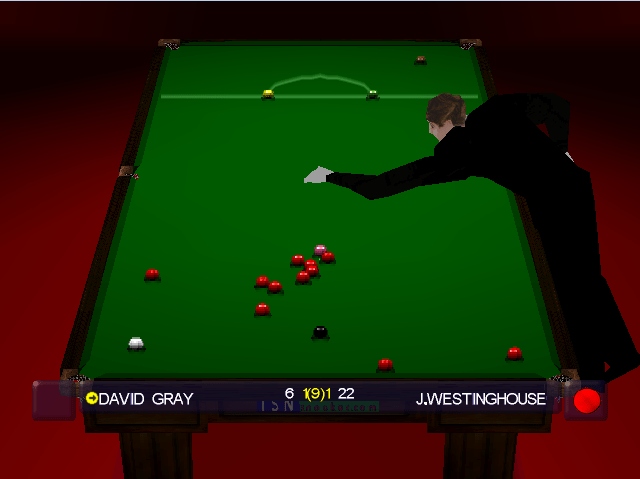 Snooker is played on a gigantic table and for some reason, seems to mandate the wearing of bowties and formal attire. I’m also not going balls deep explaining all the rules and nuances of the game, either, because Wikipedia’s right there. Much like I did for cricket games, I’m going to review this game under the assumption that the reader has at least a rudimentary understanding of the game. 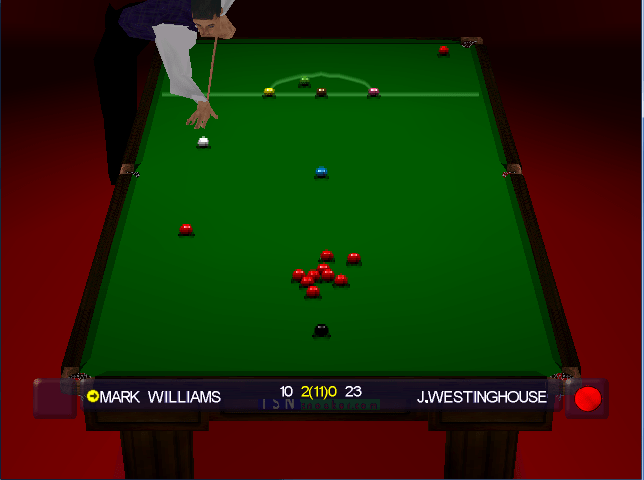 Though WCS isn’t the first snooker game, it does seem to be the first one to simulate the experience of being a touring professional playing high-pressure, televised matches as opposed to just playing for the hell of it in a pub or some bloke’s lounge. Though there’s no branded tournaments here, there is a pretty good selection of real-life snooker pros available, like Stephen Hendry and Ronnie O’Sullivan. Jimmy White, however, is nowhere to be found, but to be fair, the Whirlwind had his own line of billiard games to endorse, so you needn’t feel too bad for him. Depressingly, though, you’re not actually allowed to play with any of them, instead, they’re relegated to a CPU-only role, which is a pet peeve of mine. Imagine if you bought a Madden game and found out you couldn’t actually play with any of the NFL teams. You’d feel pretty ripped off, and rightfully so. Anyway, you end up having to create a player and follow his career, although there’s not a ton of customization options, nor a ton of player statistics to build up. Attention to Detail: Not only is the rest in play, it’s a cross rest seen frequently in snooker. The presentation is excellent, mimicking a televised broadcast very well, with the three-quarter top down view of the table while your opponent has his break, the omnipresent scoreline at the bottom of the screen, and even the white-gloved referee placing colored balls back in their spots after being potted, complete with a very polite announcement of the current break’s score. The crowd applauds long, high-scoring breaks and well-placed snookers, and the players themselves even awkwardly position themselves when trying a long shot or a shot from a weird angle. Occasional updates during long breaks even keep tally of how many points are still available in the frame, which is a nifty touch. There’s also in-game commentary, although you’ll occasionally wonder what game the commentator is actually watching, as you’ll be told you have a good shot on the black, when in reality the black is covered up, or be told if you pot the pink, you’ll have good position, while you’re still on the reds. The slick package would be irrelevant if the game were rubbish, but thankfully, the gameplay is quite solid. 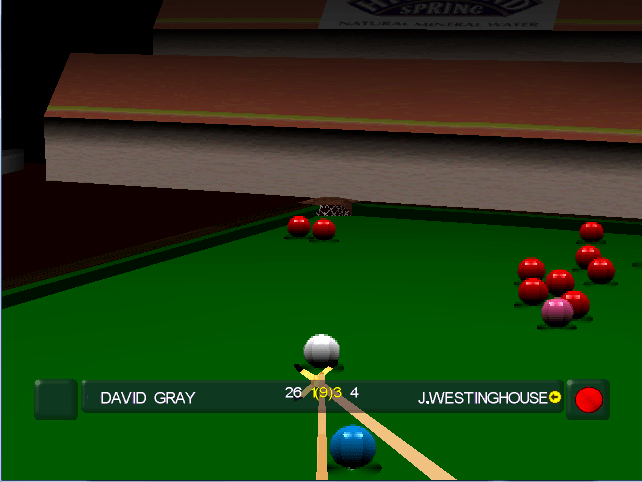 Unlike other snooker games, and indeed, a lot of billiards games in general which have so many shot options and features that even the simplest shot becomes as elaborate as solving a calculus problem, World Championship Snooker’s interface is very unobtrusive and intuitive. There are three levels of aiming aids to assist new players get accustomed to the ball physics, and also demonstrate how different spin will make the cue ball react upon contact. 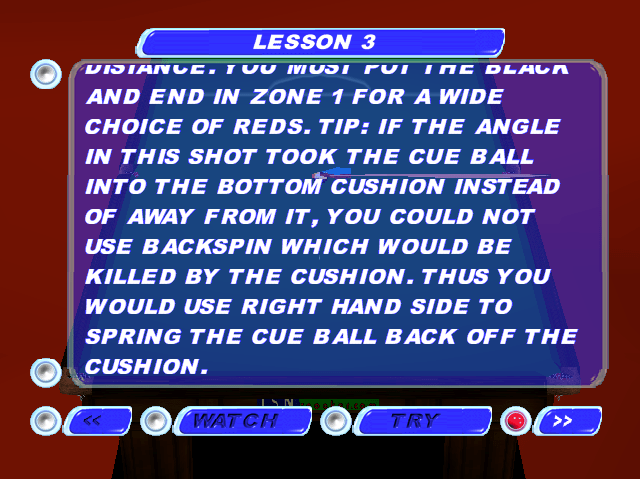 In a nice bit of detail, using the rests gives you reach, but cuts down on where you can make contact on the cue ball. Holding Circle allows you to impart English, and holding Square allows you to adjust the cue angle. 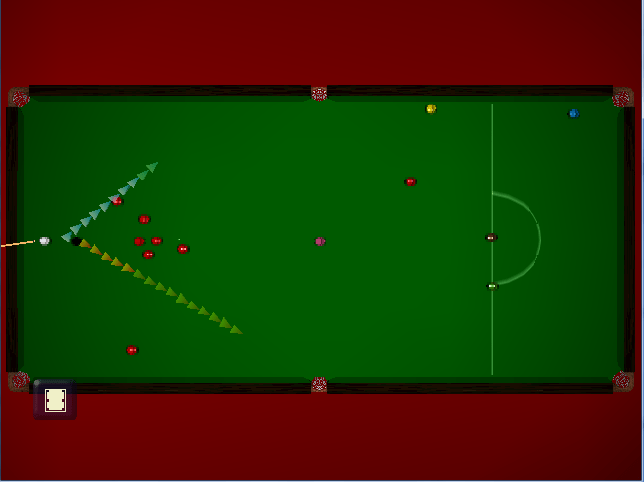 Triangle brings up an overhead view of the table, allowing you to plan your next move, as well as line up long pots. Using the overhead to line up a long pot on the black. For those of you unfamiliar with snooker, the game does feature a Masterclass feature that covers a broad range of topics, from the basic rules of snooker, all the way to learning stun shots and advanced positional play. Each lesson consists of a bit of reading material followed by a demo video, and none of them are particularly long, but they do manage to explain the technique and the physics behind it rather well. You’re not forced to take the lessons in order, and you can skip around at your leisure, so Masterclass turns out to be an extremely useful tool for refining your game, not just here, either, as the lessons also apply to playing real world snooker. Once you feel comfortable with your game, you can take it on the road to Championship Mode, where you select from four venues ranging from a dive bar in Newcastle to a far more upscale site in London, and play through a round-robin league against a litany of fictional amateurs (including the immortal Eric Feeblebunny). If you finish in the top two in your league, you then advance to a 16-man single elimination tournament where you’ll square off against the pros in the most hallowed of snooker halls, the Crucible Theatre in Sheffield, England. All tournaments have the option of short or long length, which doesn’t alter the length of the tournament itself, but rather, the length of the matches, which mean by the time you reach a tournament final, you’ll be playing best-of-eleven frame matches, and you really have to like you some snooker to play through it. Thankfully, you can save after each frame, so it’s a bit more manageable, but I still suspect most people would select the shorter option. 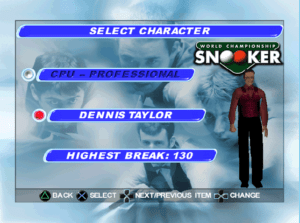 For those of you that don’t have the stomach for quite so much hot snooker action, you can also elect to play just a 16-player tournament or a single exhibition match. I would also have liked to have seen a teams option, but what’s here already is still pretty good. Dennis Taylor! Sadly, he doesn’t sing Snooker Loopy here. It’s also worth noting that to win a tournament, you’ll very much have to earn it, as your competition ramps up noticeably once you reach the later rounds. The AI here is quite good, for the most part, and the pros are certainly willing and capable of putting together three-figure breaks if you give them the opportunity. I can definitely attest that virtual Stephen Hendry in particular leaves no margin for error. It’s not bulletproof, mind you, as there are occasional botches where the computer decides to bank off three rails and miss everything instead of running into the pack or cues entirely too hard and launches balls off the table altogether, but for the most part, the computer plays a competent game, and even the amateurs can give you a decent challenge if you screw up. 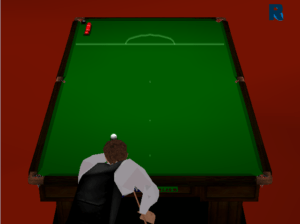 Overall, World Championship Snooker is one of the best billiard games I’ve ever come across, not just snooker, but pocket billiards as well. The gameplay is highly intuitive and not overly elaborate, the presentation is excellent, and the Masterclass feature has something for everyone whether they be completely new to the game, or good players looking for an extra edge. I highly recommend WCS for snooker fans or fans of billiards in general, and for those interested, the series stretched onto PlayStation 2 and further, so if you like what you’ve heard so far, you can find a version with better graphics and more features. Still, this is a very solid foundation to build upon, and I’d encourage you to give it a shot. Easy to pick up and play, excellent presentation, Masterclass does a fantastic job of teaching everyone from newbies to veterans. No playable pros, limited customization features, AI sometimes wanders into boneheaded moments. …. I recognize the names of colors. Considering what the next four reviews I have lined up are, it’s only going downhill from here.